Affordable. Convenient. Easy to Use. 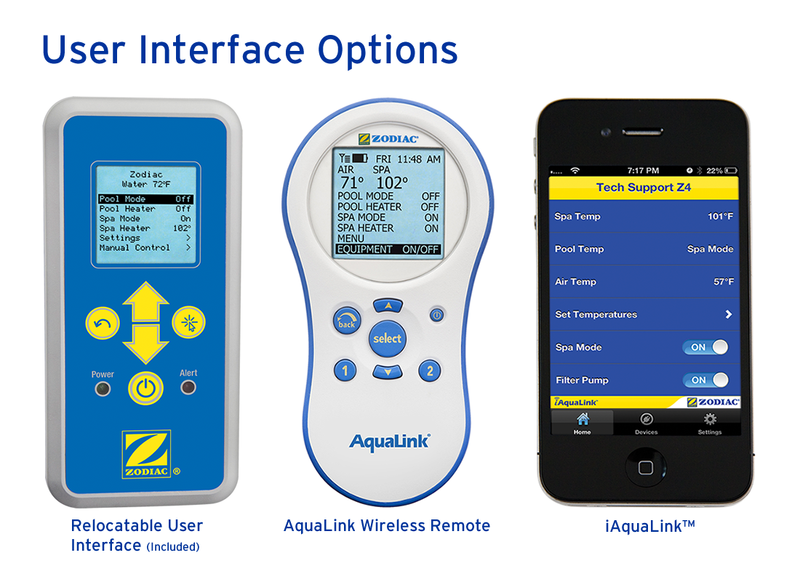 This affordable and convenient device delivers complete pool/spa control. 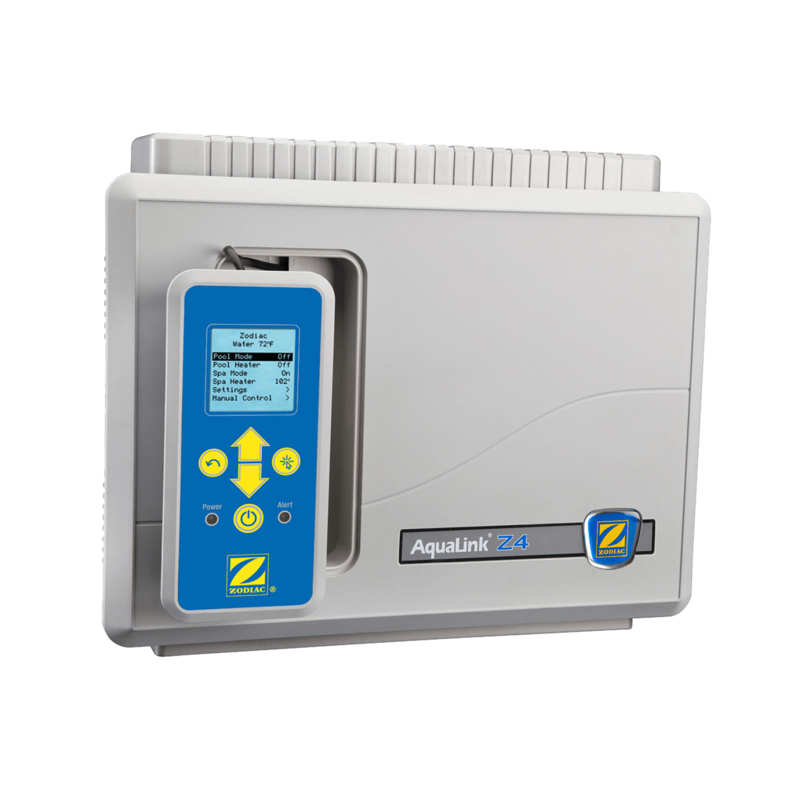 The AquaLink Z4 provides easy‐to‐use automation for up to four circuits and three valve actuators. Affordable. Convenient. Easy to Use. 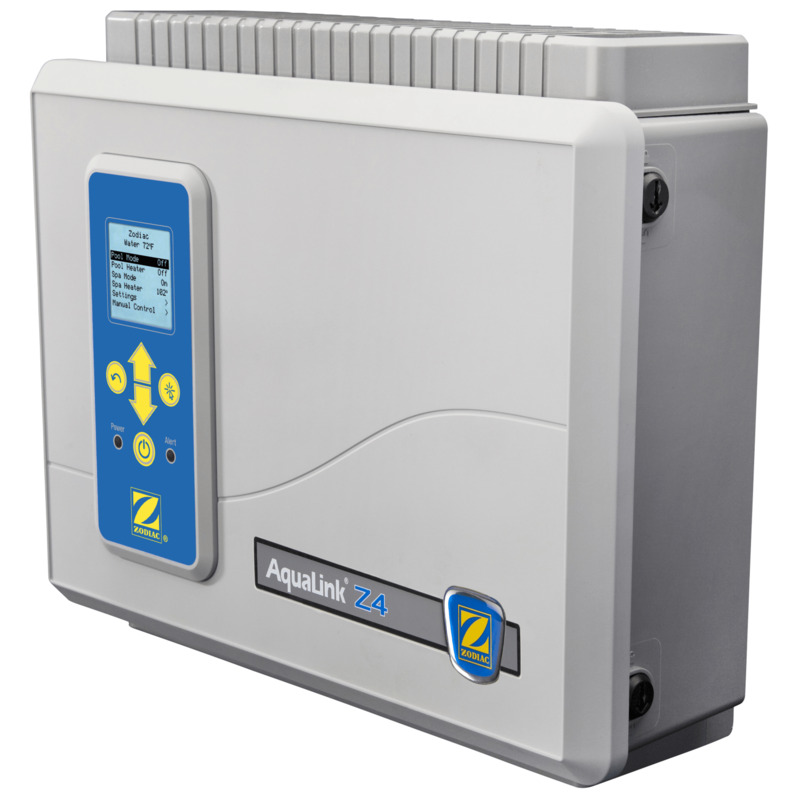 Delivers complete pool/spa control in one simple device. Four relays control filter pumps, and up to three auxiliary circuits, such as booster pumps, water features, color lights, etc. Onboard, relocatable user-interface—Convenient and easy to relocate wall-mountable interface (included). 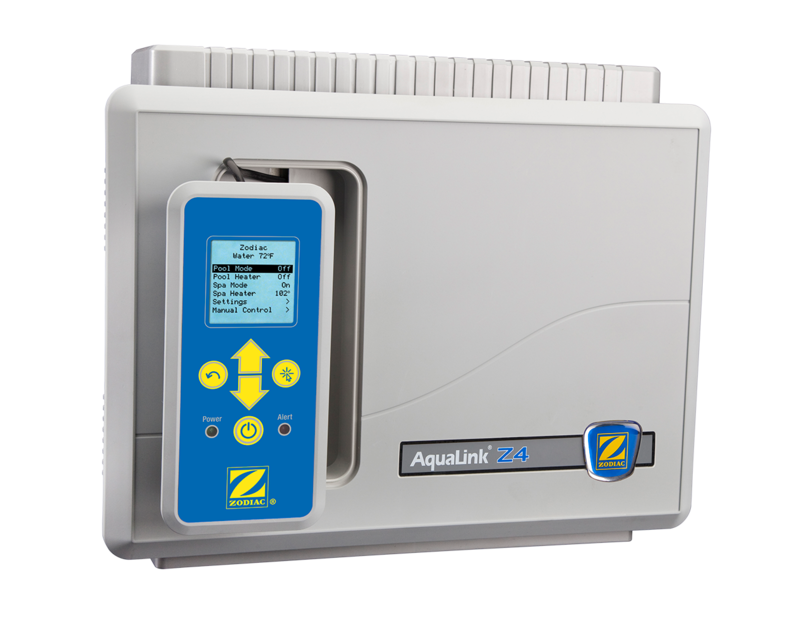 iAquaLink™ Compatible—24/7 control from any smart phone, tablet, or web-connected device (included with some configurations). AquaLink Handheld Wireless Remote—Slip-proof, water-resistant housing. Perfect for poolside use or around the house (optional).